Police halt an unnotified parade in Kilwilke area of Lurgan. Unionist politicians have welcomed the police operation to halt a republican parade in Lurgan today (Saturday, March 31). Ulster Unionist Party MLA Doug Beattie, in a statement issued to the press, said, “Every year Republican Sinn Fein (RSF) flout the law and organise an illegal terrorist show of strength in the Kilwilke estate in Lurgan. Every year the Police Service of Northern Ireland (PSNI) hold back and adopt a low profile in an attempt to dissuade RSF from doing similar in the future. “That was until today 31 March 2018. “Today the PSNI said enough is enough and through a well coordinated plan delivered with professionalism and skill they broke up this illegal RSF gathering and arrested the colour party. “There is no place in our society for these intimidating parades no matter who they think they represent. I commend the police for their actions today and the courage of the young officers who have to face this aggressive attitude from people who want nothing more than to disrupt our society. 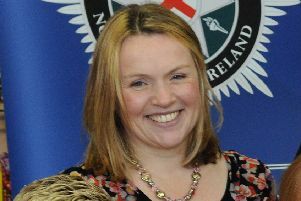 DUP MLA Carla Lockhart said in he4 statement to the media, “I very much welcome the police operation to stop this illegal parade and glorification of terrorists. I hear plenty of comments from republicans on legal Orange parades but they are strangely silent when republicans decide to march whenever they want glorifying terror in an illegal march.